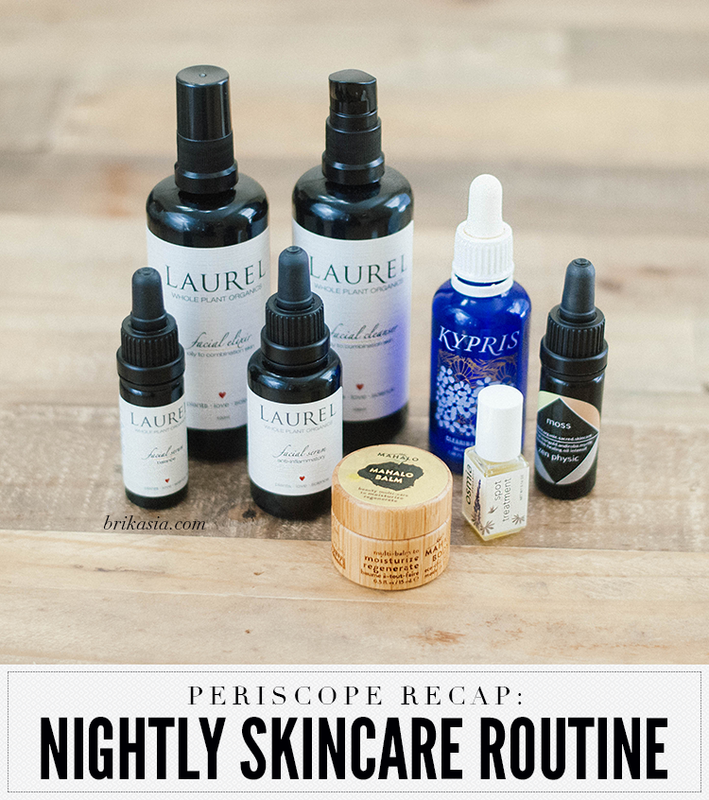 When I attended A Night For Green Beauty in Chicago last month, I was introduced to a bunch of new-to-me green beauty brands. 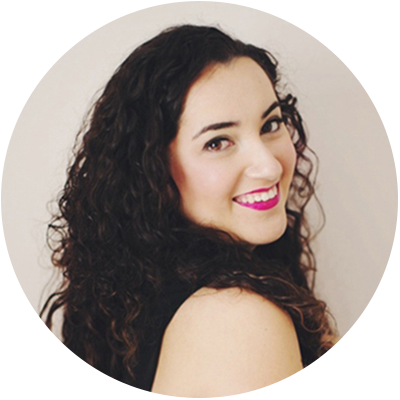 One of these brands was Axiology, and you guys: I fell in love with this all-natural lipstick brand. The shade of Axiology lipstick I purchased is "Attitude", which is the PERFECT name for this shade. It is described as a hot pink lipstick with coral undertones with a slight shimmer. I wouldn't necessarily call this a hot pink, but more of a raspberry shade. 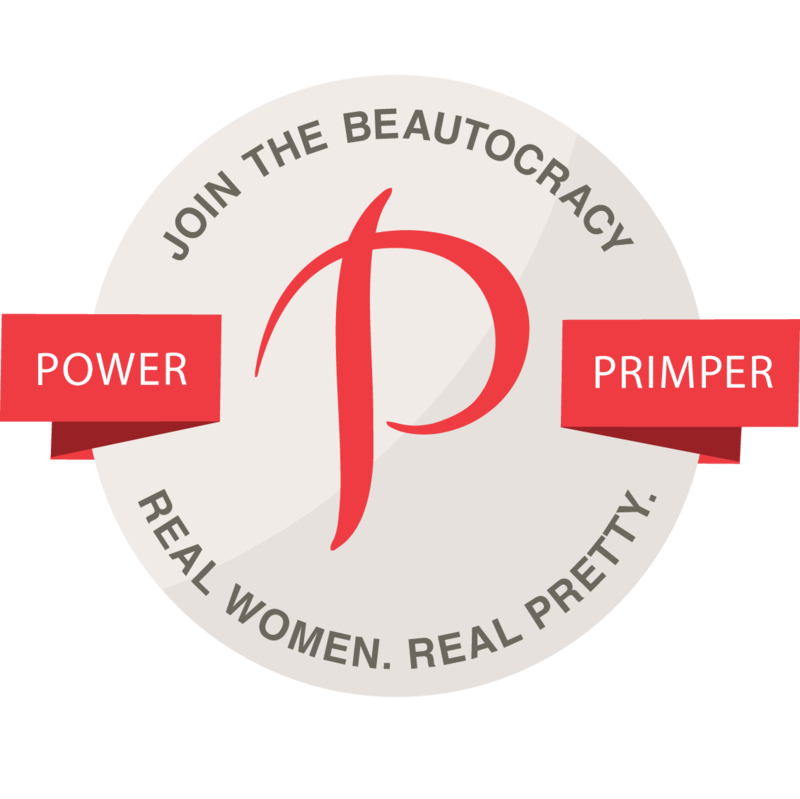 This lipstick comes pretty pigmented, which is a great feat for a natural lipstick. The lipstick sits comfortably on the lips, and I would say it lasts on my lips for about 4-5 hours. It's like a little clicker!! Guys, it does NOT take much to impress me, ha! And look how pretty Attitude is on my lips! 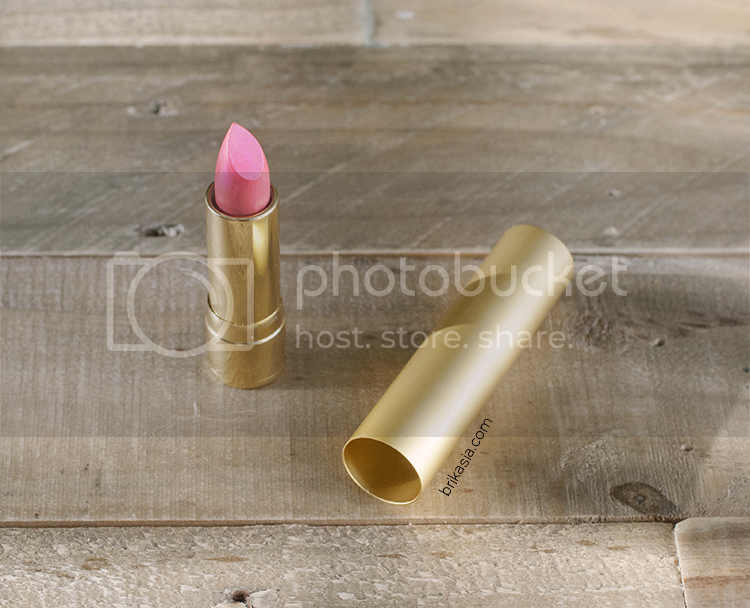 So when you first open up your Axiology lipstick, you get this gorgeous golden case. To get the lipstick out, you click the bottom, and it unlocks the lipstick. Does that make sense? It's a pretty fun party trick to whip out when you're in the mood to dazzle your friends with some green beauty realness, trust me. See, everyone? Green beauty can be awesome, too! The box that the lipstick comes in is just as cool. I've certainly never seen a triangular box for a lipstick, have you? The story behind these boxes is super cool, too. These lipstick boxes were sourced in Bali where Axiology's founder was visiting. A women-run paper boutique in Bali sources paper collected from all around the island, which is then boiled down to a pulp, laid out in the sun to dry, and then folded and decorated by hand. Pretty dope, eh? Overall, I am pretty impressed with Axiology. For such a young brand, their branding, packaging, and product is on point. The lipstick costs $28, which honestly, for a green lipstick line, that ain't half bad. I highly recommend this product to all of my fellow lipstick fiends out there! 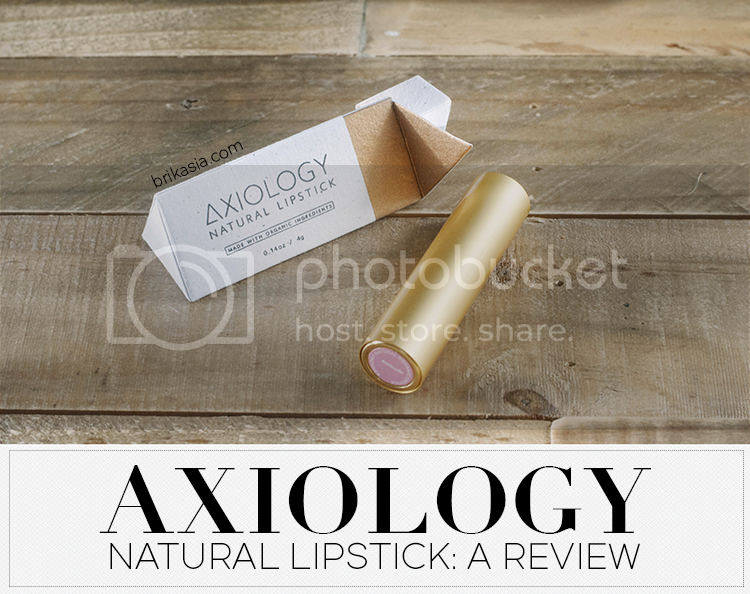 Have you tried anything from Axiology before? What a pretty color and I like the gold tube too! Not sure I get the clickable packaging since the tip is cut off in the video but I'm assuming it's like a pen clicker: i.e. click the bottom and the bullet opens at the other end? So when you click the bottom, it released the tube of lipstick, if that makes sense. I have the hardest time describing it, and I'm sorry if my GIF didn't make much sense either! But the lipstick ends up like the second image in my post, with the top off. It's really cool and fun to play with! Love the packaging and the color looks gorgeous! What a gorgeous shade of pink! I want this! That's a great color on you! Oh, this brand sounds greatI I love discovering natural brands, I'll have to check this brand out! I love that shade of lipstick and I know I'd want it for the packaging too. Such a pretty color, not familiar with the brand but I am intrigued! hahahah I'd be playing with the clicking too! I hadn't heard of this brand before but you're right, the packaging is gorgeous! I like the sound of this brand! The color is so feminine! The packaging is awesome and I haven't heard of this brand before so I would be intrigued just by the packaging. That's such a gorgeous color!